2018 has been a strong year for the tourism industry, which has registered uninterrupted growth in international trips around the world. In the first eight months of 2018 international outbound trips grew by six percent worldwide, with Asia and South America recording the highest increases. According to the findings of the first trend analysis of the World Travel Monitor, the outlook for 2019 also remains positive. Asians are as keen to travel as ever. Following below-average growth in 2017, this year Asia is on a strong recovery path with an increase of eight percent. One contributing factor was the upswing in China, with notably more foreign trips than the previous year. Likewise another growth driver is Latin America with an increase of eight percent. This can be mainly attributed to Mexico, which has recovered from last year’s negative growth rates. According to the World Travel Monitor, between January and August 2018 trips by Europeans increased by five percent, while North Americans went on four percent more international trips. Also in terms of destinations, Asia had the strongest growth and recorded a plus in visitors of eight percent. Europe follows with eight percent more guests, while the Americas had an eight percent increase. Looking at destination countries shows that the recent boom in trips to Spain has subsided somewhat in 2018 so far. At the same time, destinations, which have lately been shunned by visitors, are coming back. Turkey is the best example. With a remarkable 30 percent increase in visitors compared to the same time last year, it is celebrating a strong comeback. Holiday trips continue to be the main reason for traveling abroad – with a further increase of seven per cent. Visits to friends and relatives (VFR) grew by five percent year-on-year. Business trips with a plus of three percent increased below average. Traditional business trips actually declined in 2018 so far, whereas MICE travel, which accounts for the majority of business trips, increased by five percent. According to IPK International, the influence of terror threats has settled at a lower level. 38 percent of international travelers claim that the recent instability and terror warnings will have an effect on their travel plans, compared to 41 percent at the same time last year. This however is mainly leading to shift in destinations to those that are perceived as safe, rather than avoiding traveling altogether. Destinations regarded as being particularly safe include Switzerland, the Scandinavian countries, Canada and Australia. At the same time, other destinations such as Egypt and Tunisia, previously deemed unsafe, have been able to improve their negative image. 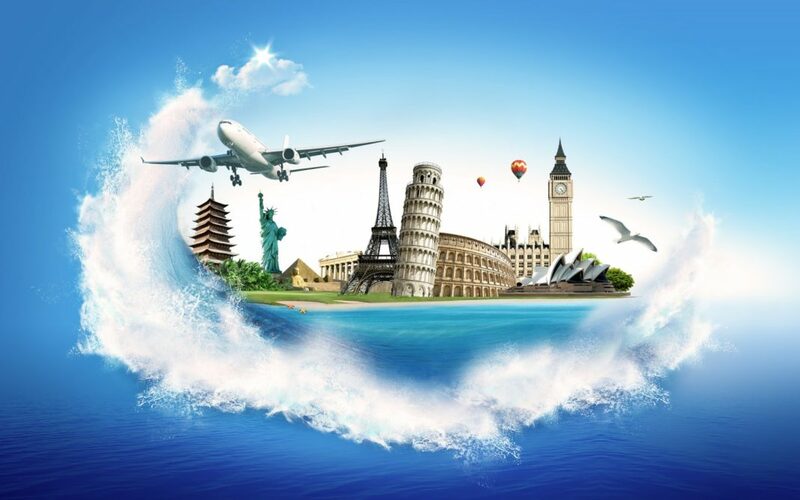 The forecast for travel in 2019 remains positive: IPK International expects international trips to increase by around six percent. The highest forecasts are for North and South America, with an expected increase of eight percent. Asia is expected to grow by six percent, followed by Europe with five percent. These forecasts are based on the World Travel Confidence Index published by IPK International, which is compiled annually based on the views of the survey participants about their travel intentions for the coming 12 months.